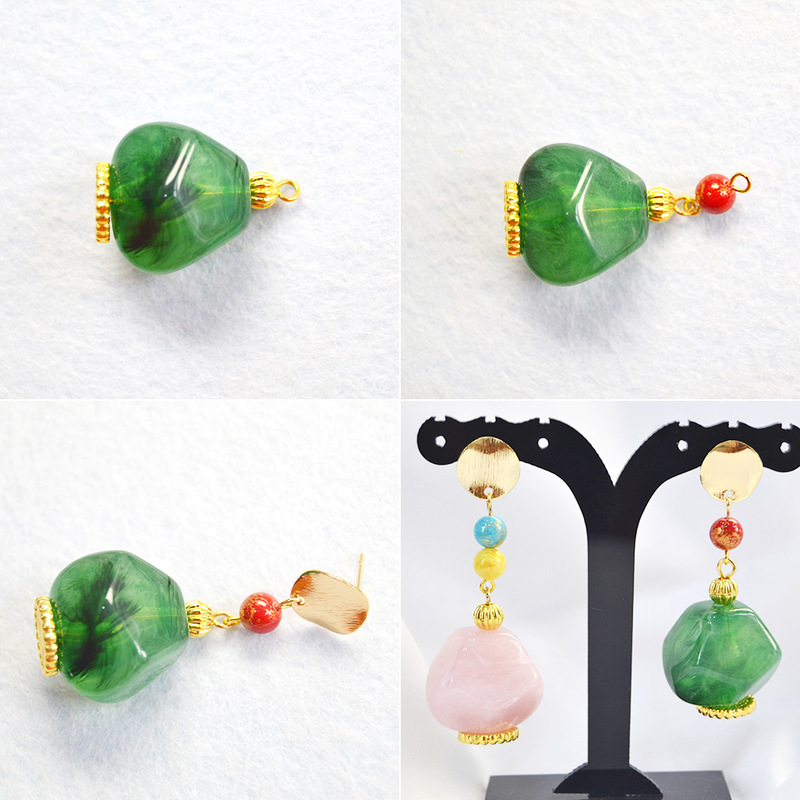 Summary: Today i will share you a pair of cute earrings, acrylic candy earrings. It will give you a happy day! 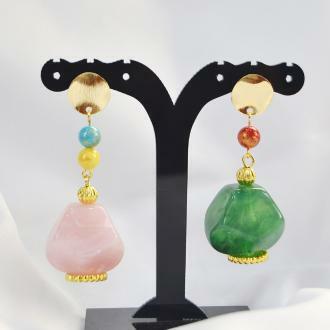 This pair of earrings is made by imitation gemstone acrylic beads and natural jade beads. 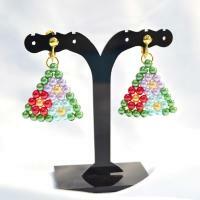 Those different colorful beads make the earrings bright and elegant. It brings me good mood and a feeling of love. 1. Thread one Tibetan silver bead spacer, one green gemstone acrylic bead and one bead cap with a head pin. Bend the other point of the wire into a circle and cut down the rest. 2. Thread one red jade bead with one eye pin in the same way. 3. 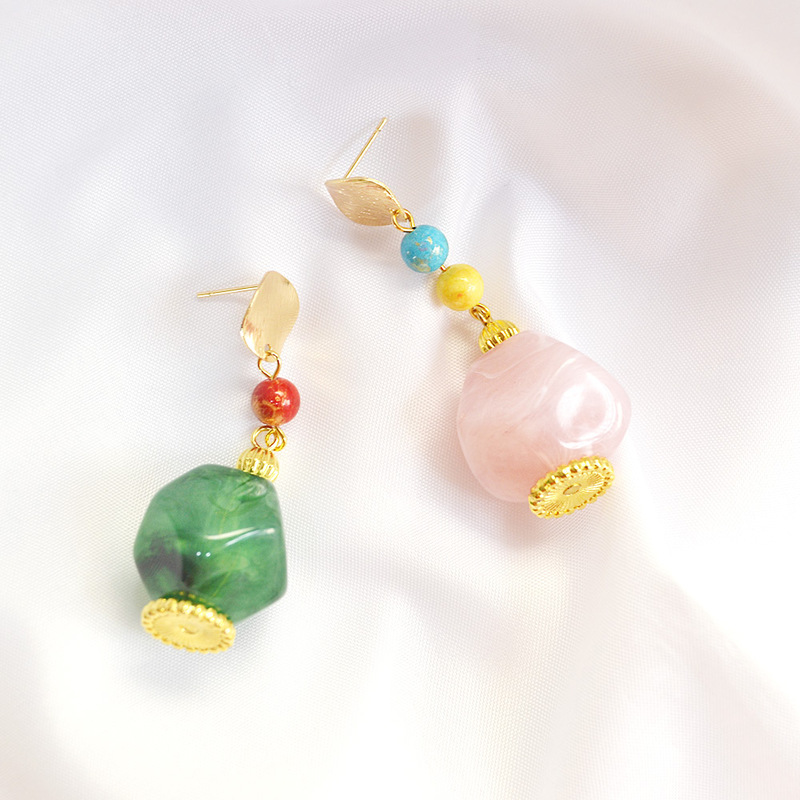 Connect the acrylic bead, red jade bead and brass ear stud together. 4. 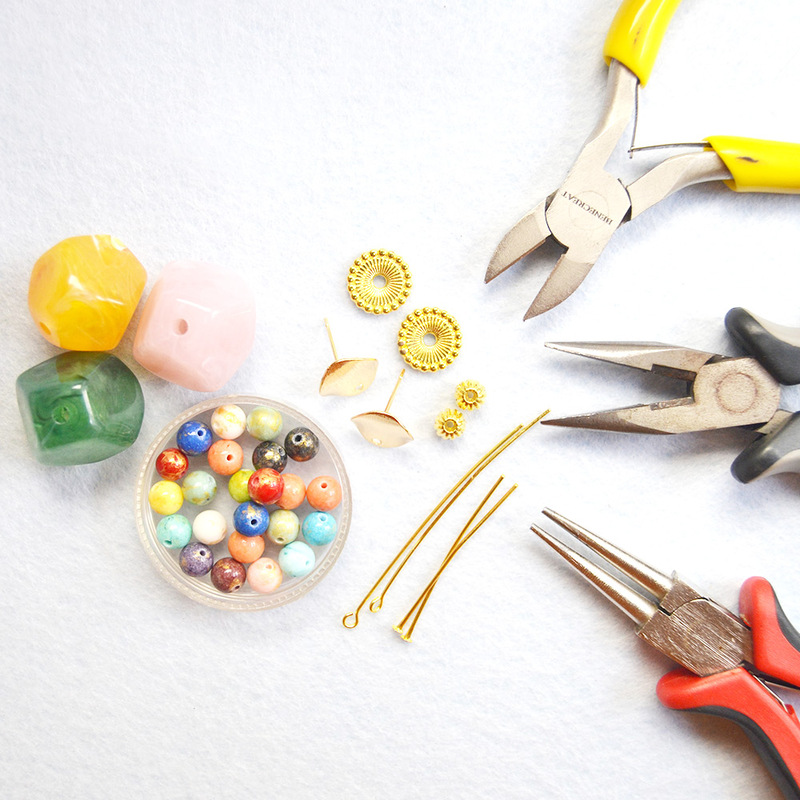 Make the another earring as the step1-3. 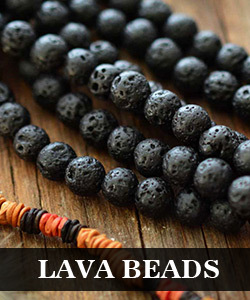 You can choose your favorite colors of the beads. We have pick the green and pink beads. Let’s have a try. As you can see, the pretty earring is very cute and beautiful. Wear it with a dress in coming summer time! It must be eye-catching.